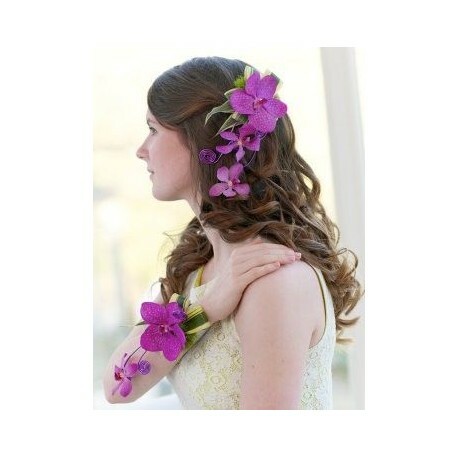 Go for the ultimate ‘wow’ factor with this exotic orchid corsage set in a rich shade of cerise. 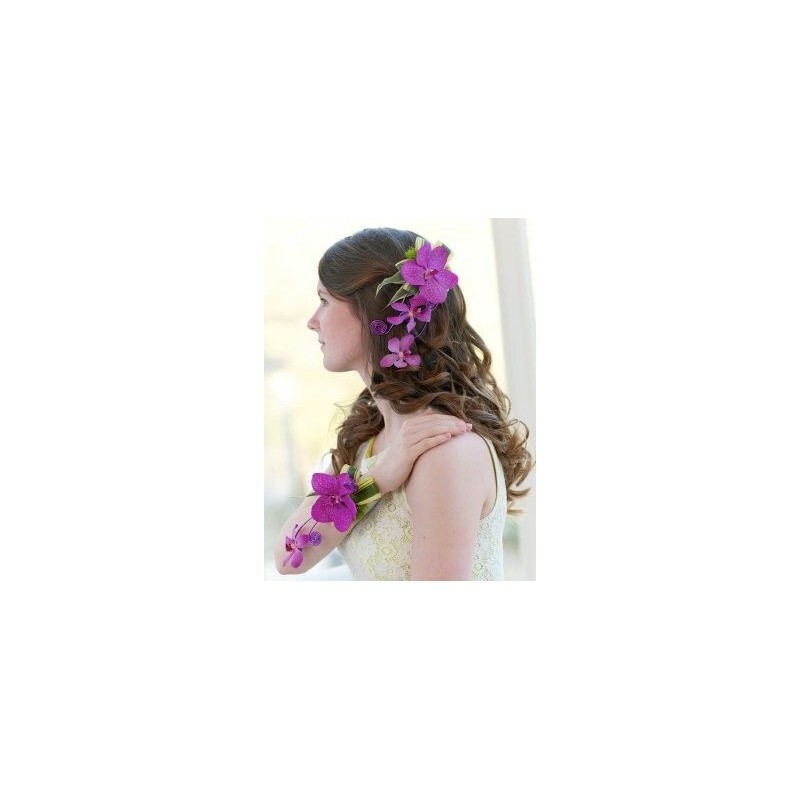 Both the hair decoration and wrist adornment are carefully made using the freshest flowers to create a coordinated look that gives an extra touch of elegance to that special outfit. 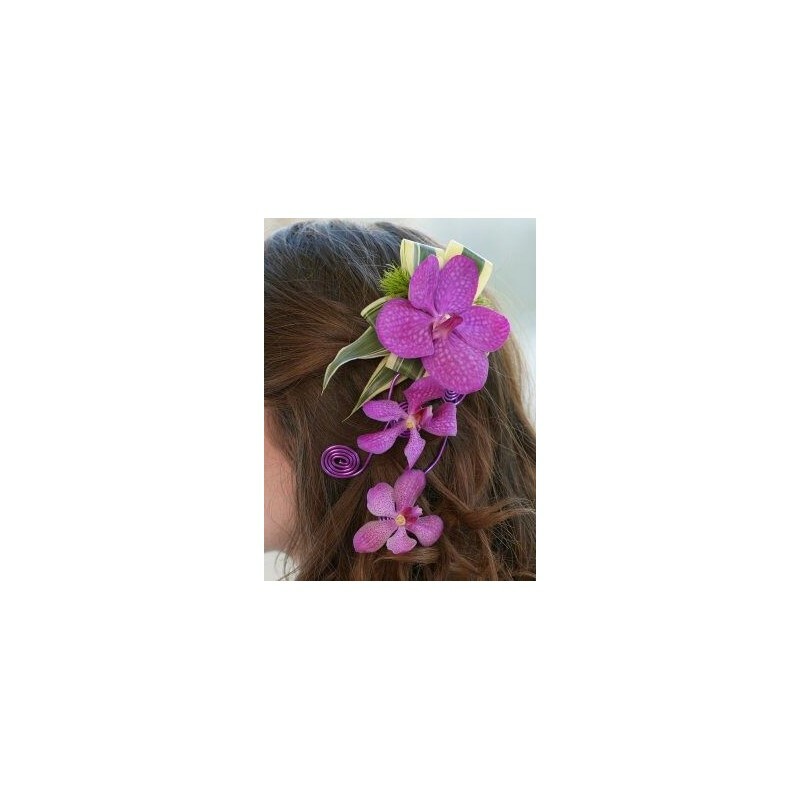 Featuring 2 cerise Vanda orchids and 3 cerise Mokara orchids, set with dracaena, green trick and pink aluminium wire onto a white wrap wristlet and a hair comb. A beautiful ensemble made with fresh flowers.